The new law will make it mandatory for all cellphones to be able to be charged through a single, universal standard. We've all been there. You're over at a friend's house, and your cellphone is running on fumes. "Hey man, can I borrow your charger?" you ask. "Oh, sorry," he replies, "I only have an iPhone 5 charger..." In Europe, at least, this scenario may soon be a thing of the past, as a new law will require all cellphones to use a single, universal standard for their chargers. Provided the Council of Ministers green lights the regulation, the law will come into effect in 2017... so phone makers do have a few years to get their act in gear. EU countries will have until 2016 to put it into their local laws. The European Parliament session that drafted the law found that a common charger would "reduce waste, costs and hassle for users." As for what that standard may be, back in 2009 the European commission received industry backing from the likes of Nokia, Apple and RIM for its phone charger standard that relies on a micro-USB socket. 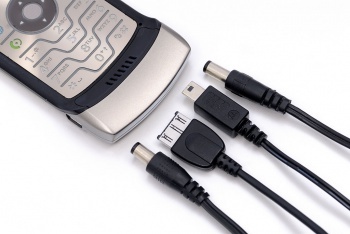 Micro-USB is already used for many Android smartphones, and other electronic devices such as cameras. This should come as pretty welcome move for anyone who's ever bought a new cellphone and been left with a useless charger. Here's hoping similar laws get adopted around the world.